Luke’s account of the crucifixion provides a succinct yet vivid portrayal of the gospel message. Within the span of a few verses the essence of the Christian message is clearly and forcefully put on display. Luke provides us with a diverse community of people who are present during the crucifixion. “Soldiers,” “rulers,” “people” and at two “criminals” comprised the motley fabric of people who were present. Essential to understanding the gospel message were the different reactions to the crucifixion. Fourth, one of the criminals ‘railed’ or ‘blasphemed’ the Messiah with an invective strikingly similar to the preceding abusive chorus, “Are you not the Christ? Save yourself and us!” (39) The unanimity of scorn of the first four actors makes the fifth and final reaction that much more significant. The fifth and final reaction forms the framework for the authentic gospel message. 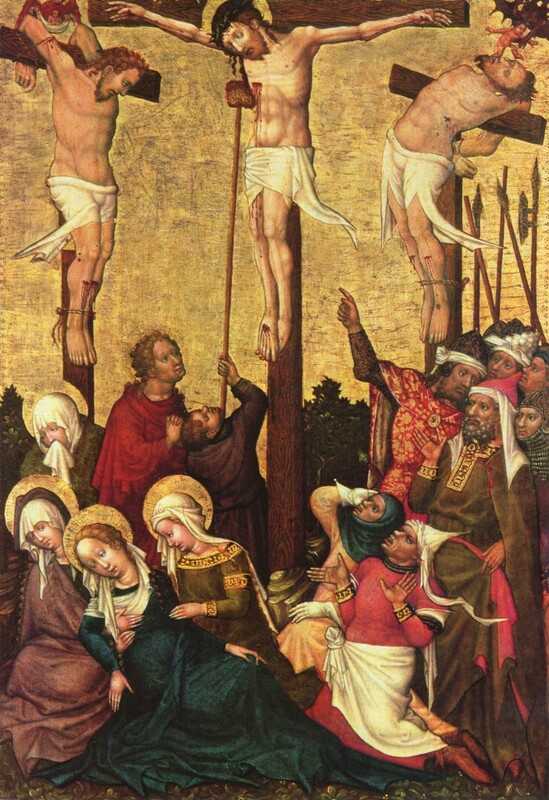 The second criminal crucified next to Jesus rebukes the first, warning him of the impending judgment and condemnation that they both face and both deserve. (41) That the second criminal sees the justice of his condemnation as he is being crucified is indeed a miracle. It is a supernatural revelation from God to see one’s depravity, guilt, and the justice of one’s corresponding punishment and condemnation. It is precisely this ‘revelation’ from God which forms the critical background and context to the salvation process. ‘Salvation’ must always come within the context of humankind’s utter destitution and hopeless depravity before Holy God, and the wrath of God which corresponds to each infraction of the law. It is only within this context that a person can make a genuine plea to God for grace and mercy. The criminal’s next ‘revelation’ is in fact that of the grace and mercy of God. He cries out, “Remember me when you come into your kingdom.” (42) because God has revealed to the criminal His love and mercy in spite of his depravity and helpless condition. The ‘gospel’ is good news. What is the ‘news’ or information? The news is that God has not left us in our helpless depravity and subsequent condemnation, but out of the depths of His love for humans, has provided the perfect sacrifice for our salvation; the death of His Son Jesus. Essential and prior to the ‘good’ news of salvation is to comprehend, as the criminal did, the justice of one’s condemnation. It is when a person sees the gravity of his condition, that he stands ready to plead to God for a pardon. 1. Fear of God 2. Revealed sin and guilt 3. Justice of condemnation 4. Reception of God’s Mercy & Salvation. Amazing grace! How sweet the sound That saved a wretch like me! I once was lost, but now am found; Was blind, but now I see. ’Twas grace that taught my heart to fear, And grace my fears relieved; How precious did that grace appear The hour I first believed!